A new government report projects that the budget deficit for 2019 will be close to $900 billion (4.2 percent of gross domestic product (GDP)) and predicts that economic growth will slow as the effects of President Trump's tax cut on business investment begin to drop off. 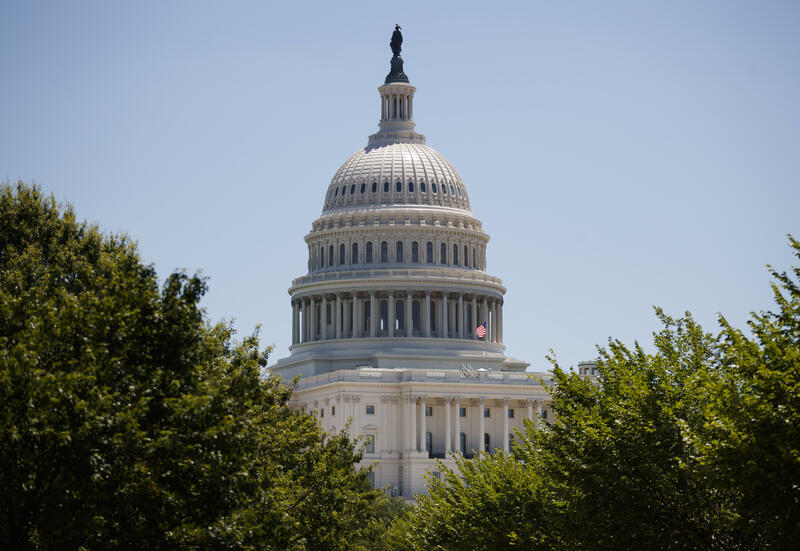 The Congressional Budget Office suggests in the Budget and Economic Outlook it released Monday that economic growth will "decline sharply" in the fourth quarter this year. The CBO's economic projections were finished before the partial government shutdown, but it estimated that as a result of the shutdown, real GDP was 0.1 percent lower in the fourth quarter of 2018, and it will be lower in the first quarter of 2019 by 0.2 percent or $8 billion. The CBO estimated that the shutdown delayed $18 billion in federal discretionary spending. Most of the lost output is expected to be recovered as the year goes on, although CBO estimates that about $3 billion in GDP will permanently be lost as a result of the shutdown. The shutdown "dampened economic activity," according to the CBO, primarily due to the "loss of furloughed federal workers' contribution to GDP, the delay in federal spending on goods and services, and the reduction in aggregate demand." President Trump on Friday agreed to end the shutdown for three weeks pending debate over funding of the border wall. The president, however, appeared less than optimistic about reaching a deal on border security, telling the Wall Street Journal that he puts the odds at less than "50-50" that lawmakers will make the deadline. Mr. Trump's economic chief Larry Kudlow meanwhile told reporters at Monday's White House press briefing that "he won't acknowledge" CBO's estimate of economic damage caused by the shutdown, adding that there's "no permanent" damage to the U.S. economy. The large deficits are projected to result in national debt that reaches 93 percent of GDP in 2029, which the CBO points out will be its highest level since just after World War II. By 2049, the national debt is expected to be about 150 percent of GDP, "far higher than it has ever been," the CBO says. Revenues are expected to increase to 18.3 percent of GDP by the end of the decade (from 16.5 percent in 2019), but that's a function of the expected expiration of the 2017 individual tax cuts. Real GDP is forecast to grow by 2.3 percent in 2019, a 0.8 percent slowdown from the 3.1 percent growth in 2018, as the the effects of the 2017 Tax Act fade. The report lands in a divided Washington, where neither Mr. Trump nor Democrats controlling the House are expected to make curbing the deficit a priority.